Book — You Got Into Where? "You Got Into Where?" breaks down the strategies I used to receive full-tuition scholarships to schools like the University of Southern California, New York University and the University of Miami. The guide features copies of my admissions essay, my writing supplement, and activities resume that I used to apply to college the fall of my senior year. Get advice on all the secrets of the admissions process from start to finish. Who Should Read You Got Into Where? *The guide also includes copies of my activities resume, common app essay, and supplemental essays. 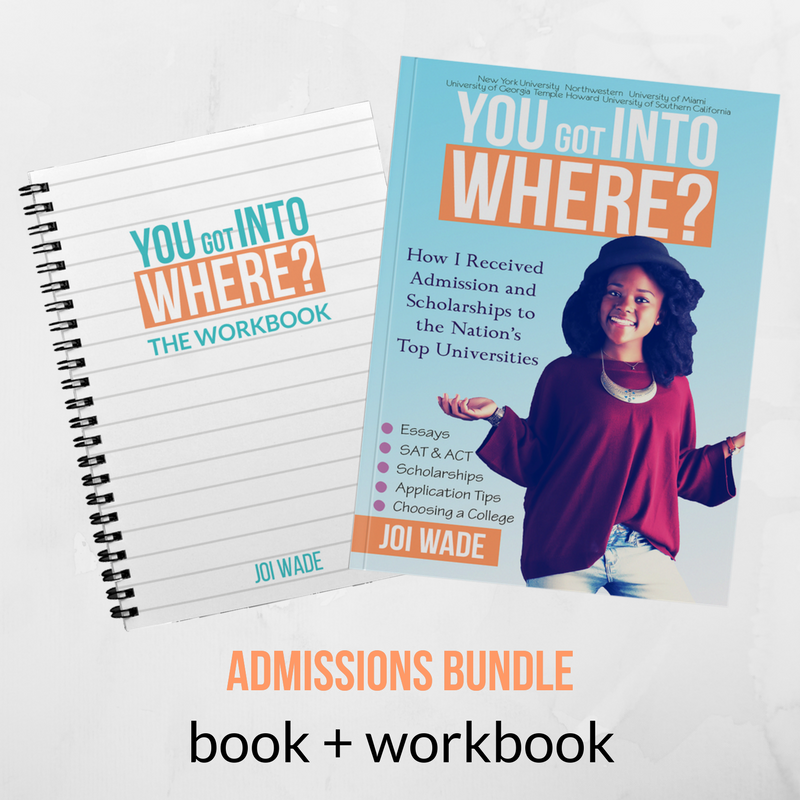 Joi Wade is a college admissions coach and author of “You Got Into Where? : How I received Admission and Scholarships to the Nation’s Top Universities.” She helps ambitious high school students channel their academic and extracurricular success into college admission and scholarships. 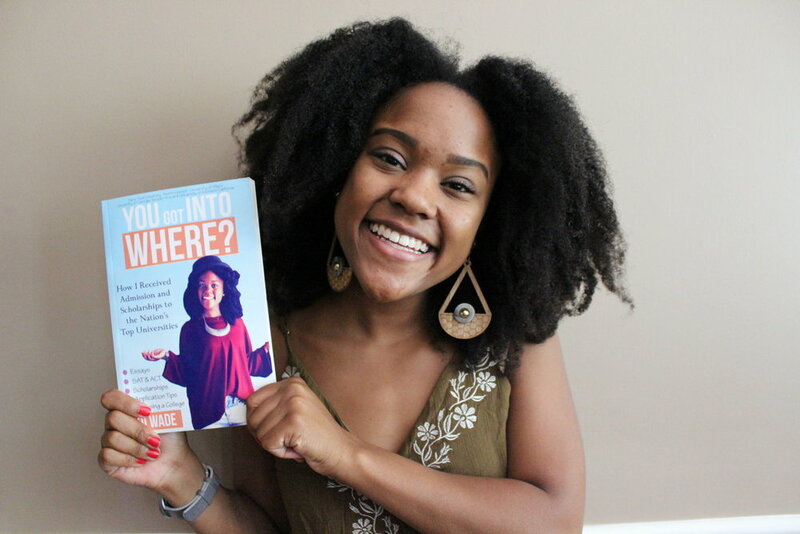 After over $500,000 in scholarship offers and coach for thousands of high school students, Joi currently is creating useful resources for high school students interested in going to college at yougotintowhere.com. In addition to her YouTube channel of over 67,000 subscribers, she is also a student at the University of Southern California. Find Joi on Twitter and Instagram @yougotintowhere. Click here for bulk ordering for schools and organizations.